An exciting and productive life demands both short and long term goals. Two pieces of advice I received recently have helped form a new short term goal for me that I would like to share with you. After reading maybe you will share yours with me. Jon Van Zyle shared an experience from his childhood, when he was already an artist, with me. He would proudly show his mother a drawing he had made and she would look and simply say “good, do it again.” Then, during in-service this year we watched a youtube video by TED that talked about the fact that you can do almost anything for 30 days and when those 30 days are over you often find that you have attained an accomplishment that will have lasting results. As I have shared with you, I have been drawing Rookie at my easel in the kitchen every morning and he is really taking on better form. The other day my husband actually left a stickie on it that said – “the best one so far.” Likewise I have been having my drawing students draw a freehand circle at the beginning of each class (a more difficult feat than you might imagine) and some of these circles are really taking shape, pun intended. Is there something that you would really like to do? Something maybe you thought was too big to really do? Our students feel that way every day. Break yours down to one of the simple things you will need to master to attain your goal and do it every day for the next 30. Send me emails and let me know what you are working on, particularly if it has anything to do with drawing or the Iditarod. 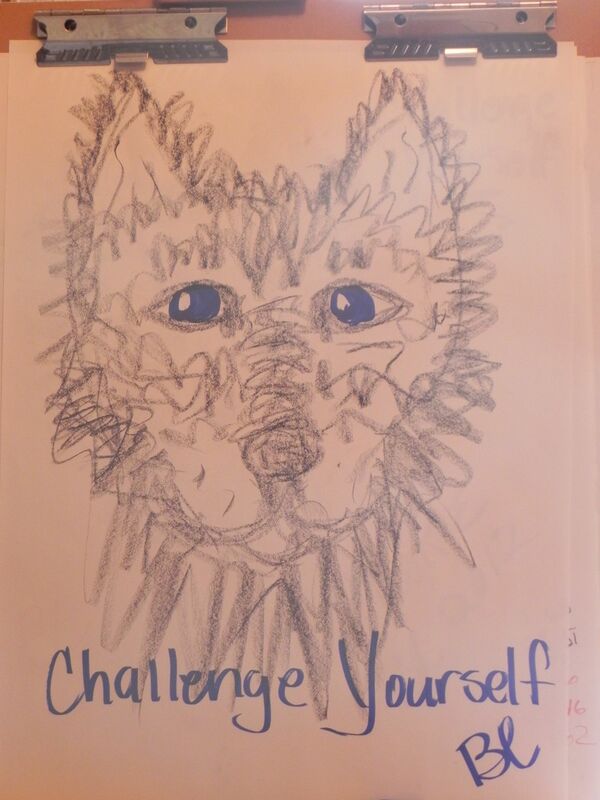 I would love to share your challenge. I have two new goals that I am working on – 1. 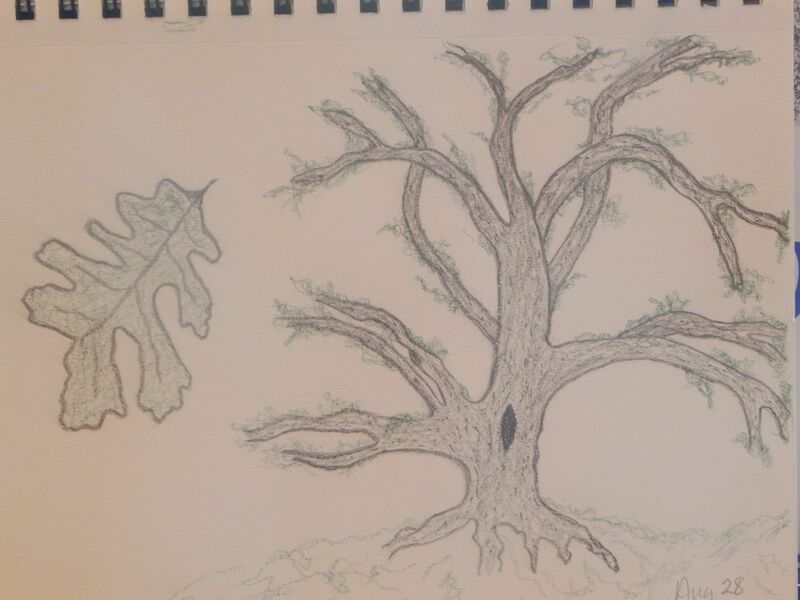 I want to draw a realistic oak tree as I live in a valley where they grow abundantly and 2. I want to run 250 miles before I leave for the Iditarod. So, my short term goals will be to draw one oak tree a day for the next 30 and to run, just run (fast/slow, long/short) every day. Right now I am doing a little over a mile and a half when I do run and well – I have shared my oak tree with you below. OK, so it is a little fairy tale like and looked a bit like an octopus, but I have 30 days. Check in with me in 30 days to see where we have come.